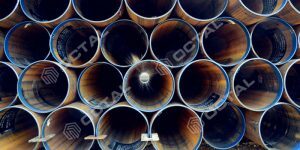 Solid CRA lined pipes or CRA clad (cladding) pipes are known to be corrosion-resistant that consists of an inner pipe which is also corrosion-resistant and a carbon steel outer pipe which can withstand external and internal pressure. 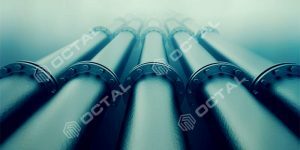 There are various applications of pipes made from CRA material and include subsea pipelines for conveying sour gas and oil, saltwater pipelines, water reinjection systems, process pipes in the chemical industry, salt water pipes and much more. 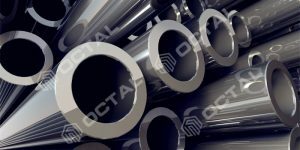 Octal offers high quality of CRA clad and lined pipe. 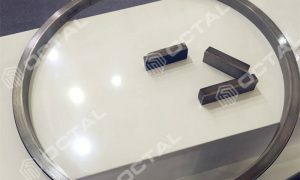 1.Metallurgical bond (for CRA Clad (caldding) pipes) – Cladding of plates (metallurgical bond between 2 different metals) is carried out by various operations such as coextrusion, hot rolling, explosive bonding or weld overlay. 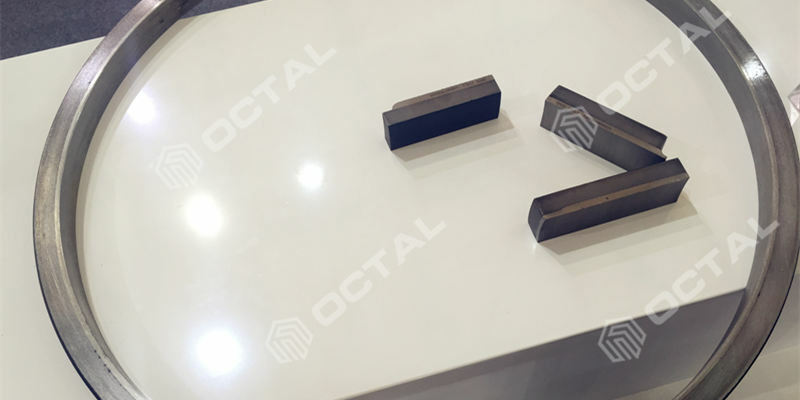 The major problem with metallurgical bonding is the high costs which is created by the limited number of suppliers due to the complex and demanding manufacturing process of metallurgical bonding the plates. 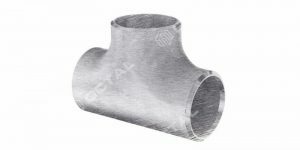 2.Mechanical bond (for CRA lined pipes) – Mechanical bonding the CRA pipe and the backing steel pipe by using spring back variation which can be achieved by means of Hydroforming or full-length pipe expander. 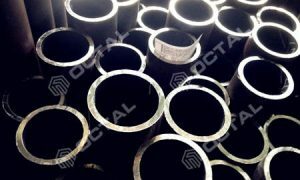 Cladding (clad) pipe key point process is to use metallurgical (weld overlay or co-extrusion) methods for bonding. 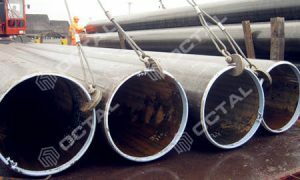 First is to cladding CRA material to steel plate, then forming cladding steel plate to pipe then welding to the clad pipe. 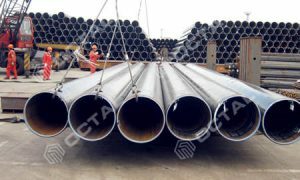 To bond CRA lined pipes using a Full-Length Pipe Expander, the outer and inner pipe are telescopic aligned and subsequentially positioned on the outfeed and infeed loading cart. The pipe is increasingly fed using the loading cart over the expanding head. 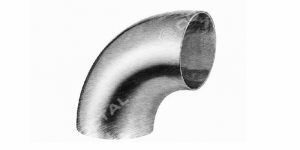 To ensure uniform mechanical bonding of the outer and inner pipe over the whole contact area, a special expander head design is utilized. 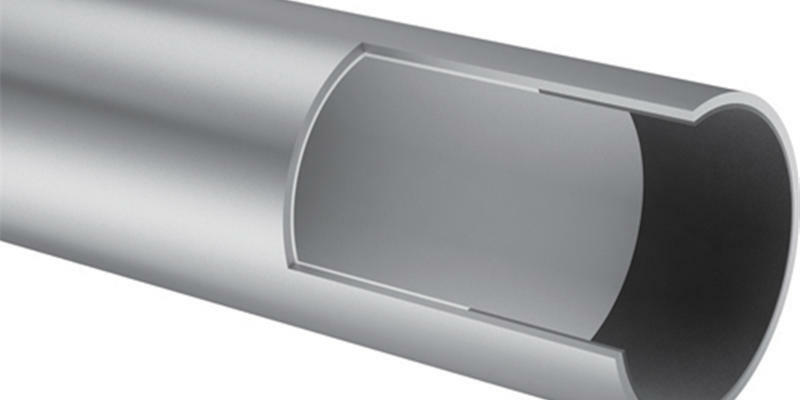 The Full-Length Pipe Expander is equipped with a linear transducer that accurately measures the position of the dies so the optimum point in mechanical bonding for each outer and inner pipe material combination can be attained. 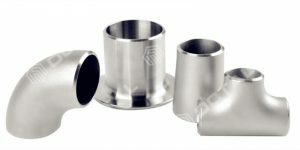 Why Invest in a Full-Length Pipe Expander? There are a couple of manufacturers who use Hydroforming machines to carry out bonding operations. 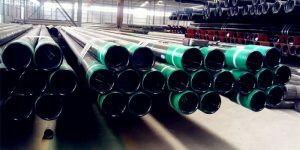 If we compare the Full-Length Pipe Expander to the Hydroforming machine, it will be found out that the Hydroforming machine is more expensive. Another downfall of the Hydroforming machine is that its expensive tooling and material waste pipe ends because of the seals that are on it. 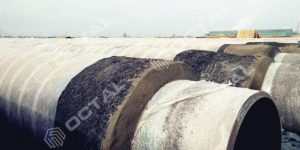 The Full-Length Pipe Expander used by companies like Fontijne Grotnes is a more economical and controlled solution made available in the market. 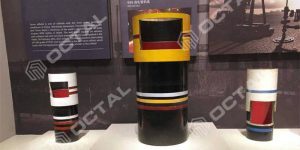 An optimum mechanical bonding is created for each outer and inner pipe combination since the process has diameter position control and does not need expensive outer dies. 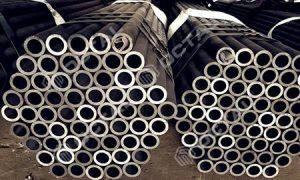 There is a rising demand for CRA lined pipe because corrosive conditions will definitely increase in the future. This is as a result of produced fluids containing higher water cuts and higher concentrations of carbon dioxide and hydrogen sulfide. 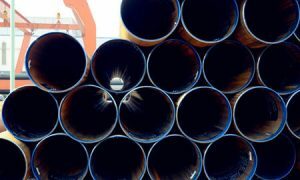 Also, these corrosive products have to be transported over a very long distance, with higher pressures and it needs to be done in an environmentally friendly way.